Beautiful handmade, reclaimed silver crafted into simple but quirky circle design drop earrings, perfect for everyday wear. 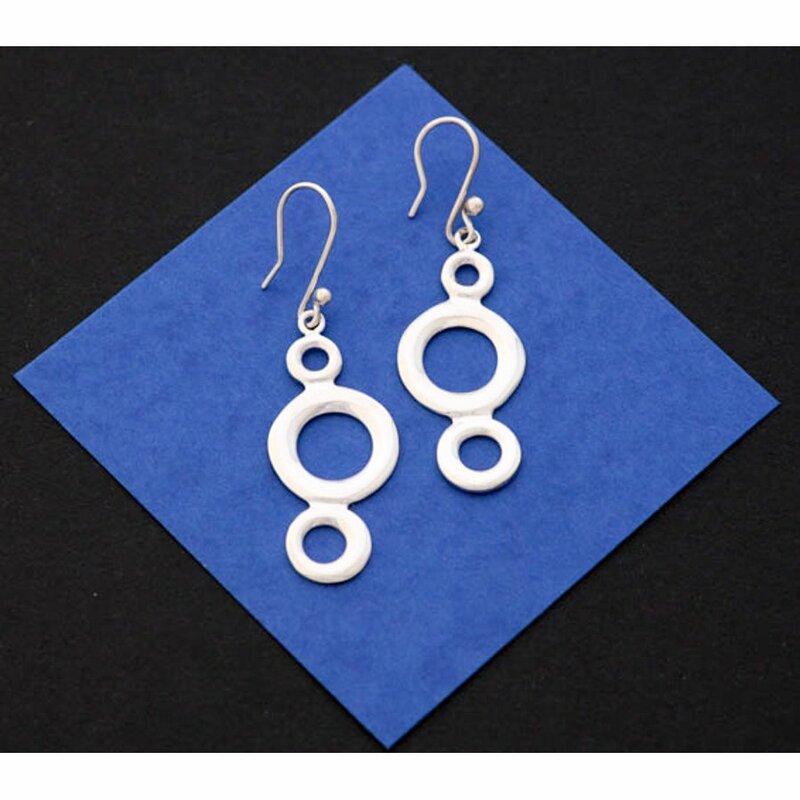 The fair trade earrings are 1 cm in diameter and presented in a gift pouch with a stunning matching pendant available . 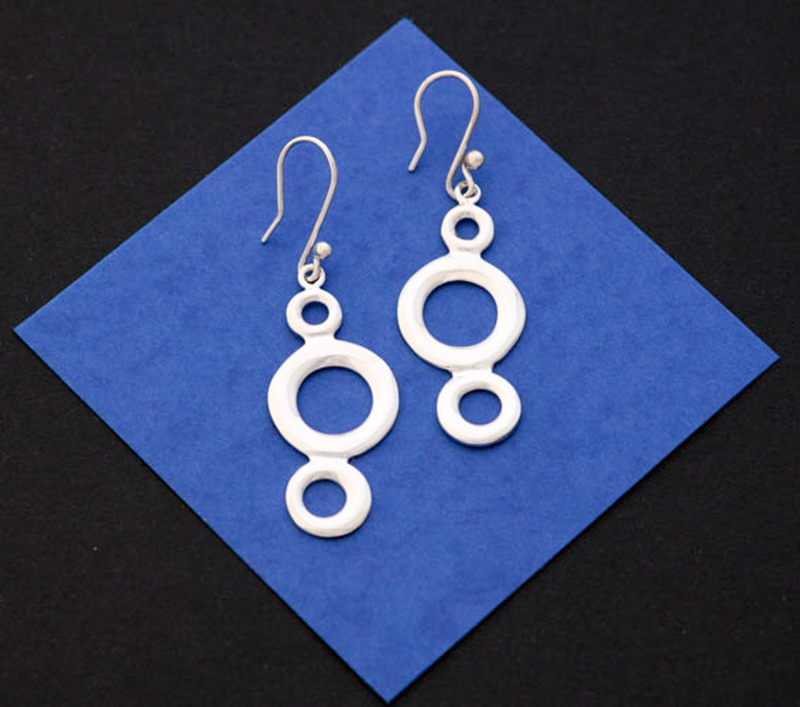 Purchasing these earrings helps Silverchilli support the silversmiths that create this beautiful jewellery by helping to support the women’s centres where they live and work. The Silverchilli Burbuja Earrings product ethics are indicated below. To learn more about these product ethics and to see related products, follow the links below. There are currently no questions to display about Silverchilli Burbuja Earrings.